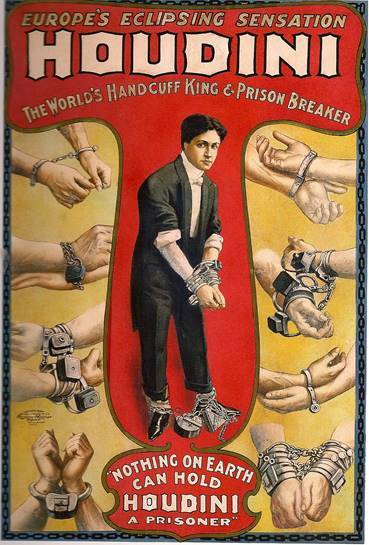 Colon, MI — Harry Houdini, if you’re not busy this Halloween, Ron Carnell wants to talk to you. Carnell will be conducting a séance the Saturday leading into All Hallows’ Eve in an attempt to contact the long passed spirit of Houdini, the most famous magician of the Twentieth Century. 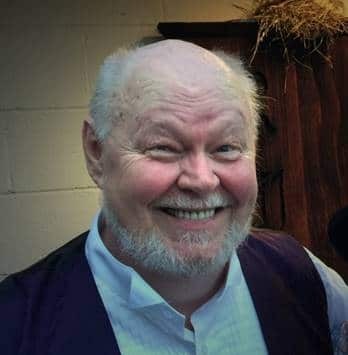 The sitting, as these séances are sometimes called, will take place in the dimly lit main dining room at River Lake Inn restaurant in Colon, MI, a small village long recognized as the Magic Capital of the World. The magic show is titled “A Tribute to Houdini,” and is designed not to mimic the great escapologist, but rather to celebrate him. 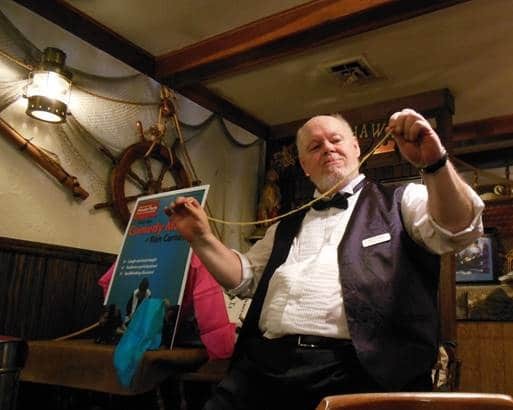 Carnell has been presenting a magic show and dinner combination at River Lake Inn for the past five years. The Halloween show and séance will be a special production. This will be the second year Carnell has conducted a Halloween séance at River Lake Inn. In 2015, Houdini (or something purporting to be Houdini) appeared long enough to both discern and answer a number of questions known only to individual guests. Unfortunately, the evening ended rather abruptly when furniture started flying about. Harry Houdini died in a Detroit hospital, after a week’s struggle for life, on Halloween in 1926. He was only 52 years old. Before he died, Houdini made a pact with his wife, Bess, promising he would return and make contact from the other side if such were at all possible. Coming from the world’s greatest escape artist, his promise carried weight. For the next ten years, Bess organized a séance every Halloween in hopes of contacting her departed husband. Carnell says he intends to play an old recording of one of those original séances at River Lake Inn. Bess was never successful. Houdini never appeared to her, and in 1937 his wife eventually gave up. The tradition she started, however, has refused to die. Every year, on Halloween night, someone somewhere in the world attempts to contact the great Harry Houdini across the veils of death. The séances continue in part because it’s an entertaining history lesson, in part as reverence for Houdini, and in part — well, in large part perhaps — because people hope this year just might be THE year Houdini finally keeps his promise. 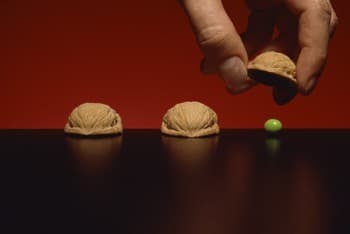 The Halloween séances have been conducted everywhere from Houdini’s childhood home in Appleton, Wisconsin, to his adult home in New York City, to the museum dedicated to him in Scranton, New Jersey, to Bess’s final sitting in Hollywood, California — just about everywhere imaginable. There isn’t a magician alive who doesn’t know about Colon, and few who haven’t visited the village or longed to visit it. Even The United States Congress has recognized Colon as The Magic Capital of the World. There are three magic shops in Colon, including the world famous Abbott’s Magic Company, and three festivals every year, including Abbott’s Get-Together, soon to celebrate it’s 80th year in 2017. The high school teams are called the “Magi” and their mascot is a white rabbit wearing a black top hat. Several local businesses exploit the magic theme in their names. Downtown sidewalks celebrate famous magicians who have been important to the community with a local Magic Walk of Fame. Colon takes their magic heritage very seriously. It all started when Harry Blackstone Sr. moved to Colon in 1926 — the same year Houdini took his final bow. Coincidence? Perhaps, but Carnell believes if there’s anywhere in the world where the greatest magician of the Twentieth Century might decide to finally appear, it almost HAS to be in Colon. 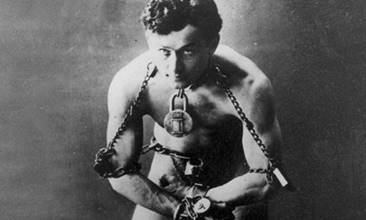 The “Tribute to Houdini” Magic Show and Séance on Halloween starts at 5:30 p.m. The cost to attend is $29.99, which also includes dinner. In addition to a full salad bar, guests have an entrée choice of “Bloody Drippings” (Sirloin Merlot) or “Zombie Eyes” (Shrimp Scampi). The alcoholic beverage for the evening is a “Vampire’s Kiss.” Dessert, either carrot cake or a brownie fudge sundae, is included with the meal. Taxes, beverages and gratuity are not included.